CDs and Vinyl come with free limited edition guitar picks while supplies last. 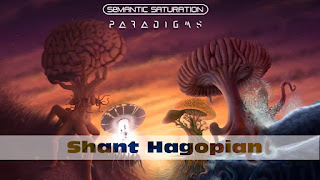 PARADIGMS is now available for pre-order in CD, Special Edition CD&DVD, Vinyl and digital formats through the brand new Semantic Saturation online store at https://shop.semanticsaturation.com. Pre-orders come with a postcard including a personal message, and signed by Shant Hagopian. The online store also hosts a selection of T-Shirts, bundles and other merchandise featuring PARADIGMS artwork. Featured musicians on PARADIGMS include drummer Craig Blundell (Frost*/Steven Wilson), bassist Kristoffer Gildenlöw (ex-Pain of Salvation), guests Derek Sherinian (ex-Dream Theater), Alex Argento on keyboards, and the lovely jazz vocalist Houry Dora Apartian. Semantic Saturation is a progressive rock/progressive metal project founded by Canadian guitarist Shant Hagopian. The foundation of the project is based on the idea to work with a different set of musicians on every album.